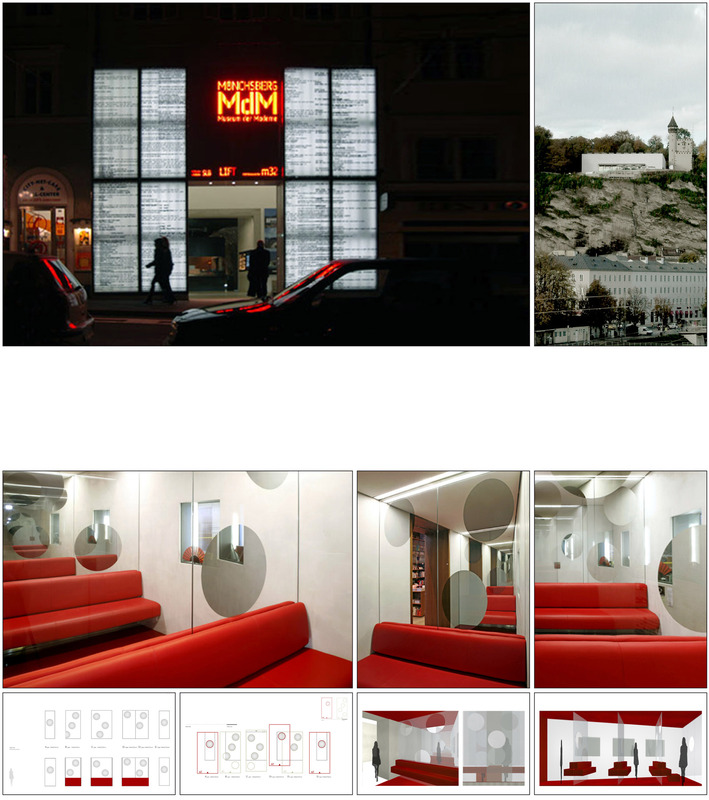 Consultation, architectural design and execution for the artist Eva Schlegel. Museum der Moderne .entrance. the museum, situated on the top of a hill has an entrance in the heart of the city that brings the visitors with an elevator to the top. Due Salzburg is a very old city the intervention left the surrounding untouched, and just put everything in front of the old building substance. Museum der Moderne .lounge. partly mirrored circular forms where applied to the glassses that divided the small rooms, they mirror in both directions and dematerialize the room.